Many thanks, I will be reading this for some time. The first ten episodes of Death Note were amazing. After Misa was introduced it got a tiny bit cringey here and there, although that‘s her whole schtick and it‘s intentional. 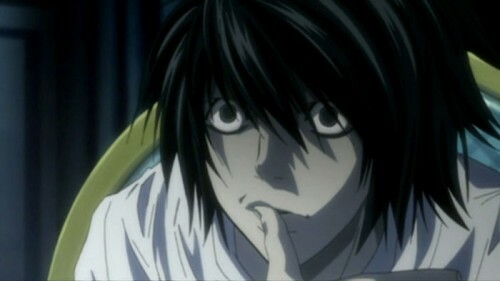 When Kira got rid of the Death Note I lost interest a little, because the entire game between L and Light was the best part. Now that they work together the tone of the show got lighter and some of traits are introduced that usually push me away from anime. I‘m in too deep now to quit and I‘m curious to see where it all goes, but I honestly think that the show just could have ended with Light being killed by his father and L killing himself. Don‘t know, would have been tonally fitting for the whole story in my opinion and I was shocked that there are two more seasons. I‘ll keep watching though. Maybe this all comes full circle and this middle part ist just filler. So, when I’ve read that there are more seasons people were simply talking about the seperate storylines with the first and second L and there is only one season officially, which I have finished. Gotta say I enjoyed it towards the end, although it bothered me at some points and I was considering to just stop watching. Seeing that this is a self-contained story I can - in hindsight - understand some of the decisions made. Overall a really solid show and I can understand why the Netflix film adaptation wasn’t as well received. I do however want to rewatch it now that I’ve seen the anime, though. I doubt that this will get me to watch more anime, but I’m more open to it than before. About 5%. Watch out, you’re about to be barraged with recommendations of people’s various favourite animes that they think everyone should watch no matter what level of introduction they are on. Don’t listen to them, watch the stuff I like instead! That’s why I’ve included the little disclaimer at the end. First I gonna watch Preacher, I think. Especially since they’re making a show out of The Boys as well. Only read the first volumes of both, but I’m interested either way. Oh, and they are graphic novels. The context might make it seem like I’m talking about more anime/manga. Are any of the live action versions of Death Note from Japan worth it? Saw only bits and bops, but was turned off by the weird looking production. No recommendations from me, as I said I recently got into it becasue I practically saw all the non anime series and movies I could think of that could be interesting to me. Rewatched the Death Note movie adaptation and my opinion hasn‘t changed. It was a decent production, not a bad watch, good effort, but I see now how they wasted a lot of potential by altering the source to its very core. What annoys me is how the best part was completely changed. Light in the anime is a psychopath with a god complex and L a socially-akward, but highly intelligent kid that lives in isolation to preserve his identity. In the movie Light is a childish, easily manipulated loser and L is far too arrogant and easily overwhelmed by his own emotions. Two really weak characters that have nothing in common with their anime counterparts. I just beat Kingdom Hearts 3 and because I’m left in that pit you get thrown into when you complete a really good movie, tv show, book or game, so I needed to distract myself. So I watched Medici: Masters of Florence and S2 but in my honest opinion only S1 was amazing. S2 feels way out of pace of the first season, which was absolutely insane. The intrigue was out there, man, and the acting was top notch. I’m still watching Star Trek too, currently on S1 episode 12, but put it aside for now because it is a long journey and I don’t want to burn myself out. The good news though is that S2 of The Dragon Prince arrives on the 15th so I will have a (short) sweet distraction, and then soon after S2 of She-Ra! Now if only S2 of The OA, Diablero, The Innocents, Dark, Sabrina, Tidelands, Derry Girls, 3Below, The End of the F***ing World, S6 of The 100 and S3 of Ozark would miraculously appear all within the year I’ll be perfectly distracted for quite a while from the new dreadful questions I have for KH. I can‘t tell why, but I can‘t stop watching Preacher. So many storylines at once and hell I can‘t even understand what they‘re saying most of the time with that thick southern accent and irish, too! So fucked up. I‘m loving it. I’ve been currently making my way through The Hobbit book and I like it so far. About 3/4 through the book so I’m close to completing it and I plan to hopefully finish in about a week or less. I definitely prefer the book to the movie. The movie was… something left to be desired. Thoughts on the book? No spoilers please even though the movie kind of does that. I liked the movies, but I agree there (was a lot) something to be desired. As an adaption not attempting to be as close to the books as possible, they are enjoyable, but nowhere near as enjoyable as the The Lord of the Rings trilogy or The Hobbit literature. As for the book, without spoiling anything, I find it to be a great adventure. I vastly prefer Frodo’s journey of course, but the descriptive detail and humorous side of The Hobbit has always something I enjoyed of the entire Middle-Earth series. It also amuses me that they have music from “Toxic avenger” but they didn’t make the track to the fight with The Scale. Just finished the anime Darling in the FranXX. Imagine a dumpster made of ebola, on fire in a sewer. Also going through the old Castlevania Vampire Variations albums by OC Remix. Sweet as. The vampire variations album series is a goldmine of good and also pretty weird music. I personally really enjoy this one from the first album also by Brandon Strader, he’s shown a pattern on these albums. Partly due to the ample inclusions of lines from one of the weirdest Cage movies, and he’s been in a few. Not sure if it’s better with just the audio playing or with the actual scenes showing in the video though. I can’t get this mashup out of my head. Continuing Sailor Moon and I forgot that Darien is a twenty year old reincarnated soul lurking after a fourteen year old girl. still the show’s a lot of fun (because she’s tough but really girlie still, doesn’t have to throw one part of her away to be strong). A part of it is when it is really corny, like with Tuxedo Mask popping up and she just pulls a Bulma and fawns all over him. Now take the song and go watch it (Hulu has it at super quality at both sub and dubs!). Sailor Jupiter was always my favorite though.